We cover a wide range of services within our Environmental Operations Department and here you can find out all information relating to our services. These include refuse, recycling and garden waste collections, commercial waste collections, bin collection dates, guidance on what can and can’t be recycled, assisted collections, bulky waste collections, clinical and medical waste provisions, household waste recycling centre, street cleansing services, fly tipping, environmental crime, enforcement and more! 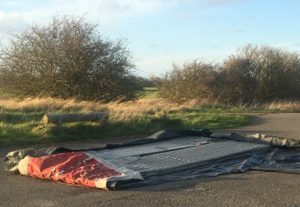 Although we are not licensed to collect and remove asbestos, we do need to be notified immediately of any fly-tipped asbestos on the highway. On receipt of the report we will notify a licensed contractor who will then come and remove it. If asbestos is on your own property, you will need to arrange for an approved hazardous waste contractor who will collect and dispose of it in the correct manner. Can I take asbestos down to my local tip? What do I do if I find fly tipped asbestos? How do I handle asbestos safely? Always remember asbestos is a dangerous material so avoid handling it yourselves and ensure that you contact a reputable contractor to dispose of it safely. 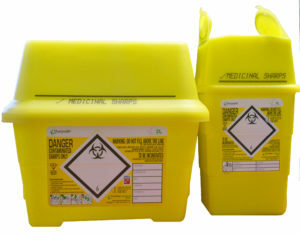 We are not licensed to collect hazardous waste such as paint, household and garden chemicals, cooking oil, used engine oil, batteries, mobile phones, fluorescent tubes, light bulbs and gas bottles. However these materials can be disposed of in the correct manner down at the Household Waste Recycling Centre (HWRC), Bittern Way or by a contractor. Please note asbestos cannot be taken to the HWRC. As well as cleaning up the town it’s a chance to have some fun with a friendly group of people. Free lunch is available and there will be various tea and biscuit breaks throughout the day. This year’s big clean up is paying particular attention to the plastic litter and importance of helping to minimise plastic pollution.Last year nearly 400 people took part, approximately 100 people a day. Everybody is welcome, anyone under the age of 16 must be accompanied by an adult, meeting at the Municipal Buildings at 9am each day. Find the pledge form here PLEDGE or get a paper copy of the form from the council buildings. As well as the kerbside blue bin recycling scheme we also offer additional recycling bring sites around the borough for paper, cardboard, metals, textiles and books. There are 13 recycling bring sites in total located at supermarkets, car parks, lay-bys and social clubs. Each site varies in the materials we accept at each one but are for domestic waste only. These should not be used for trade waste. 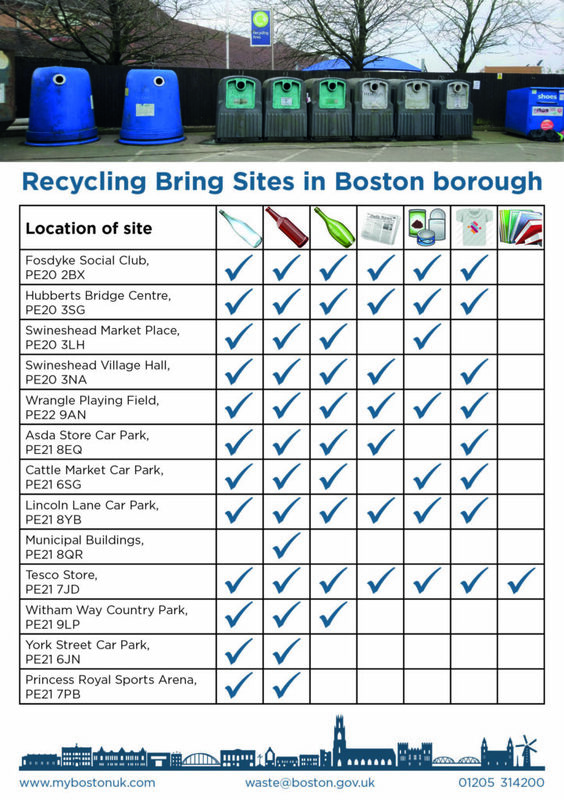 To find out where your nearest site is and what can be recycled please see the list below. If you come across any recycling banks that are full or any excess waste that is around the sites, please contact Boston Borough Council on 01205 314200. We operate a pre-paid collection and disposal service for large household items which householders may find difficult to transport to the Household Waste Recycling Centre. Prices below are only a guideline and subject to amendment depending on the size and weight of certain objects. Electric/reclining chairs or beds for example will be a lot more expensive than a standard priced items as these are heavy objects. If you have over 5 items we may need to visit, to give a quote for removal. This may also apply to carpets, sheds or wood etc so please call 01205 314200 to discuss with an Advisor. Plese note we CANNOT collect building materials, asbestos, hazardous waste, medical waste. Payment for this service can be made at main reception, Municipal Buildings, West Street, Boston where you can pay by credit or debit card or cash. In addition you pay over the telephone by calling 01205 314200. If you wish to cancel your bulky collection and obtain a refund, you need to let us know at least 2 days prior to your collection day. We are unable to provide refunds for any cancellations made after this time. Only full refunds will be given, we do not part refund. Please note that we are not insured to collect items from the inside of properties. For this reason we ask that all items for collection should be placed at the front of the property the night before or by 05:30am on the day of collection. If this is not possible please contact us for more information on 01205 314200. You may want to use a private company to dispose of your waste, but we do advise you make sure they are registered waste carriers with a current waste carriers licence. If you do have furniture that is still in good condition, before calling us for a bulky collection why not call Centrepoint Outreach which is a local Christian charitable organisation. They will collect, store and re-distribute furniture and household items to those in need within approximately a 10 mile radius of Boston. To find out more call 01205 360900. 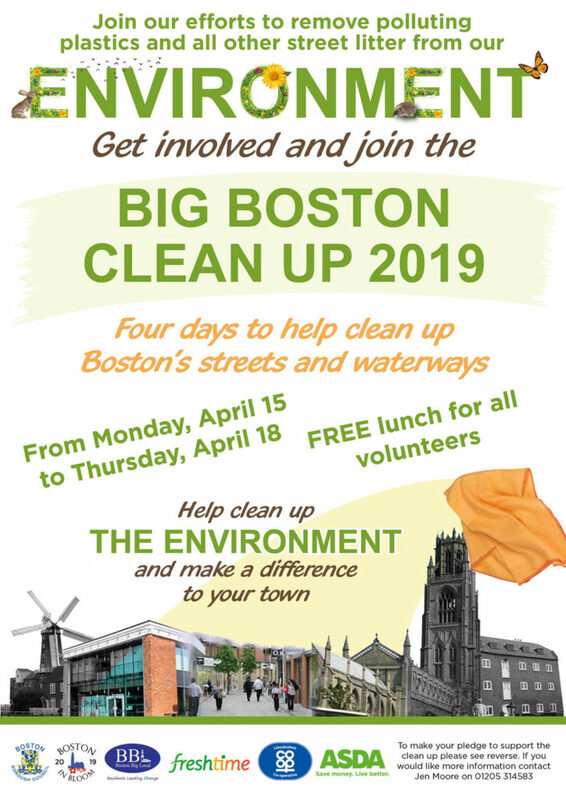 Do you want to help keep Boston clean and tidy? 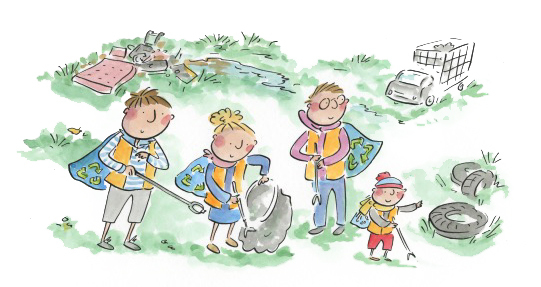 Why not join our litter champion scheme and support us in keeping your street clean and tidy. In return, we will provide you with a litter picker, hi-vis jacket, gloves, specially designated litter champion bags. If you would like to join our litter champion scheme, please contact our environmental operations team on 01205 314200..
As part of our street cleansing service, we carry out the mechanical and manual cleansing of all highways channels and footways across the borough on a quarterly basis, as a minimum. We carry out a manual and mechanical cleaning schedule each morning, prior to the commencement of business in Boston town centre, on 362 days per year, to ensure that the area is kept as free of litter and detritus as is practicable. Each day we have operatives litter picking collecting all scattered rubbish within the town centre to ensure that levels of litter are contained. We also react to any ad hoc street cleansing requirements that may arise in town or the surrounding villages. 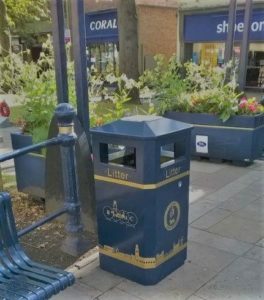 We provide litter and dual-purpose litter/animal waste bins across the borough and empty these on a cyclical basis, dependent upon use, a minimum of once per week. Villages in the Borough including; Kirton, Sutterton, Wyberton, Fosdyke, Old Leake, Leverton, Wrangle, Benington, Wigtoft, Swineshead, Frampton, Bicker, Fishtoft and Freiston are all on a road sweeping schedule to be cleaned quarterly. We are responsible for keeping the highway free from spillages, including oil. Where spillages are of a hazardous nature the police and fire service may also be involved in the incident and road closures may be required. We are not responsible for mud on the road. If you would like to report a problem with mud on the road, please contact Lincolnshire police on 01522 532222. If you see an overflowing litter bin, please contact our Customer Service department on 01205 314200 and we will have it emptied as soon as operationally possible.